The spinal column is made up of four major vertebral regions: cervical (neck), thoracic (chest), lumbar (low back) and sacral (pelvic). Dogs have seven cervical, thirteen thoracic, seven lumbar and three sacral vertebrae. There are also variable numbers of caudal or tail vertebrae. Intervertebral discs are located between the vertebral bodies starting at the second and third cervical vertebrae (C2-3) and extending to the seventh lumbar and first sacral vertebrae (L7-S1). The three sacral vertebrae are fused and therefore do not have discs. The intervertebral disc consists of two regions: the outer layer called anulus fibrosus which is a cartilage-like material and the central region called nucleus pulposus which is an elastic pulpy mass. 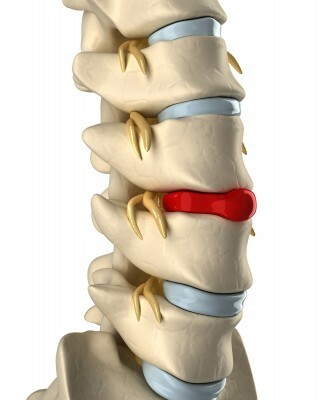 Intervertebral disc form elastic cushions between the vertebrae which allow movement, minimise trauma and shock, and help connect the spinal column. When a dog has suffered spinal injury or had surgery due to degenerative disc disease, it is advisable to restore movement gently and steadily. Hydrotherapy is an ideal form of exercise as the warm soothing water encourages movement and gentle massage and stretching of the limbs in the water will encourage circulation. Following spinal surgery it is vital that exercise is carefully controlled and that the dog’s movements are restricted and supported. Swimming is an excellent way to improve circulation and encourage mobility within these restrictions, without putting any undue pressure on the spine and joints. Muscle can again be built up successfully to support the affected less stable areas. Often there is temporary paralysis of the hind limbs pre and post spinal surgery. The use of a water current played onto the top of the paws promotes a swimming reflex movement resulting in limb movements that the some dogs cannot make consciously on land. This kind of exercise in water is one of the ways of maintaining fitness whilst waiting for inflammation to decrease and nerve repair to take place. Some dogs need to swim for a short time every day for perhaps a couple of weeks followed by longer sessions perhaps three times per week. They often do well quickly. Other cases have improved significantly, but very gradually over a period of months. There are others who continue to make improvements over a year after surgery. Dogs whose prognosis was poor have often made amazing progress and an important element in this is their own ‘’will to succeed’’.